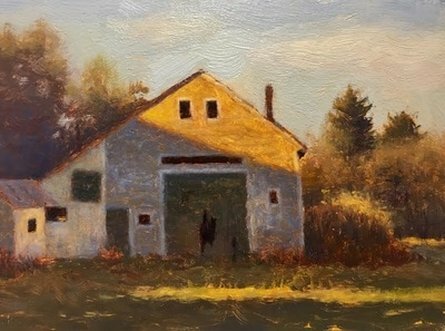 I'm pleased to announce that I am doing an oil painting demonstration with the New Hampshire Art Association this coming November 13th. I will be using a layering and glazing process borrowed from the Renaissance. I'll be talking about the Seven elements of picture making and how we can rewire our brains to see like an artist. This will be great fun, packed with information and good company. Please contact the New Hampshire Art Association to reserve a seat for Tuesday evenings demo, November 13 from (7:00 - 9:00pm). ​CLICK HERE for my Layer and Glaze workshop. I'm excited to be working with the Kittery Art Association again. I'll be doing a studio painting demonstration this November, using a layering and glazing process borrowed from the Renaissance. I'll be talking about the Seven elements of picture making and how we can rewire our brains to see like an artist. This will be great fun, packed with information and good company. Please contact the Kittery Art Association to reserve a seat for Wednesday evenings demo, November 15 from (6:30 - 8:30pm). After exactly ten years in studio #224 at the Button Factory Artist studios, I will be moving to a new art space...Its only one flight down from my old studio. I'll be on the first floor of the Button Factory but with a new address entirely. This is my new studio mate and co-owner of the space, Artist and Architect, Frank Hyer. We just signed the papers this afternoon and made it official with a dram of single malt scotch. We will likely host visitors as part of the Button Factory annual open studio event the first Saturday in December...but if we can pull it together, it would be fun to have a studio opening party...check back. "31 Paintings in 31 Days"
Follow along with us as Artists Dennis Poirier and Todd Bonita collaborate to paint 31 outdoor paintings in 31 days during the month of March. All paintings will be (6x8") oil, framed and priced exclusively for this charity event at $300 each. 50% of the gallery profits will go to Ciaras family fund in support of our fundraising charity event for 9 year old Portsmouth resident Ciara, who was recently diagnosed with a malignant brain tumor in December 2016. February 2017: 2 Person Exhibition at Gingerbread Square Gallery, Key West Florida. Aproximately 18 new oil paintings in what will be my 8th winnter show in this fabulous Key West gallery. Date to be announced but it will likely be in early February of 2017.